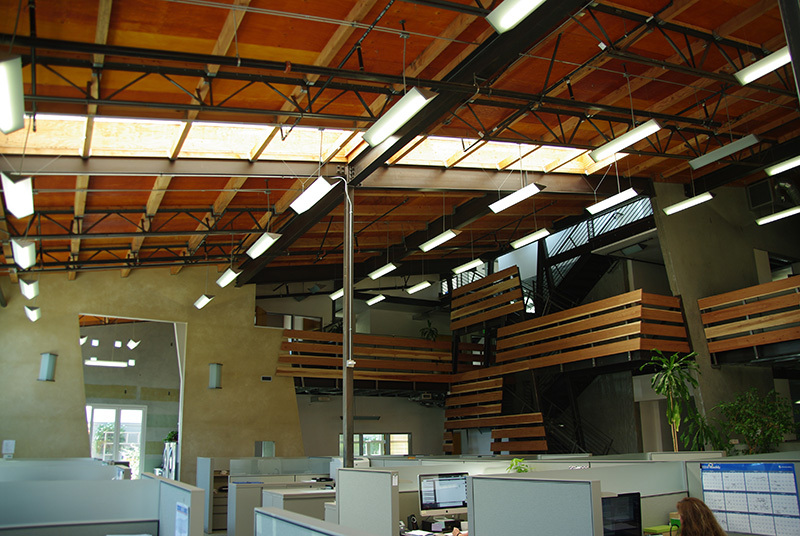 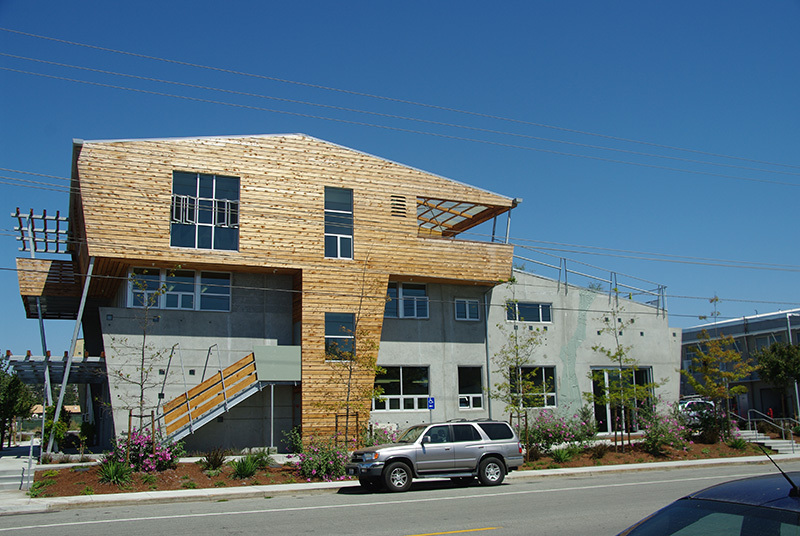 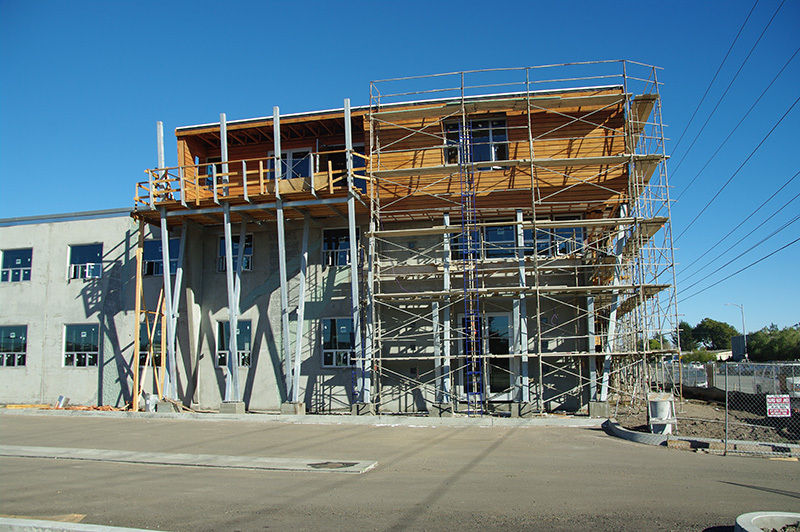 The new office space for Rainbow Light Nutritional Systems included a two story concrete tilt-up base supported by structural steel framing. 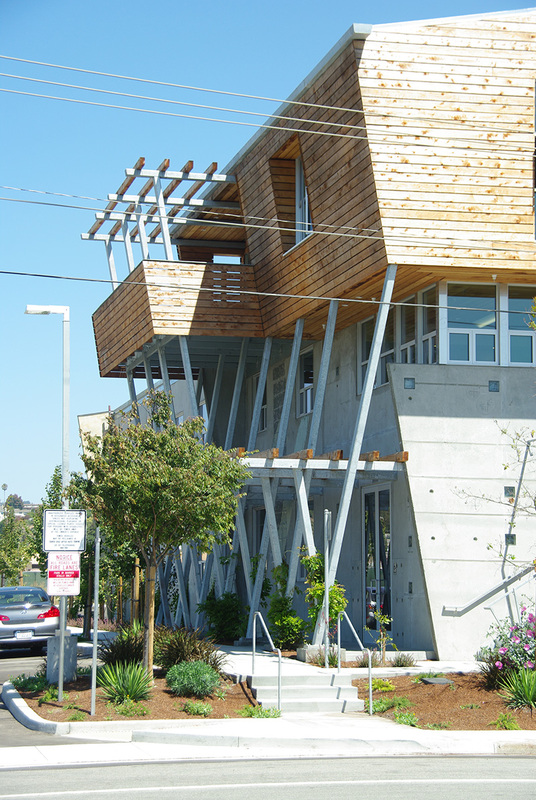 Above the concrete base, a wood framed penthouse extends over the sidewalk with canted or diagonal steel columns supporting the overhang. 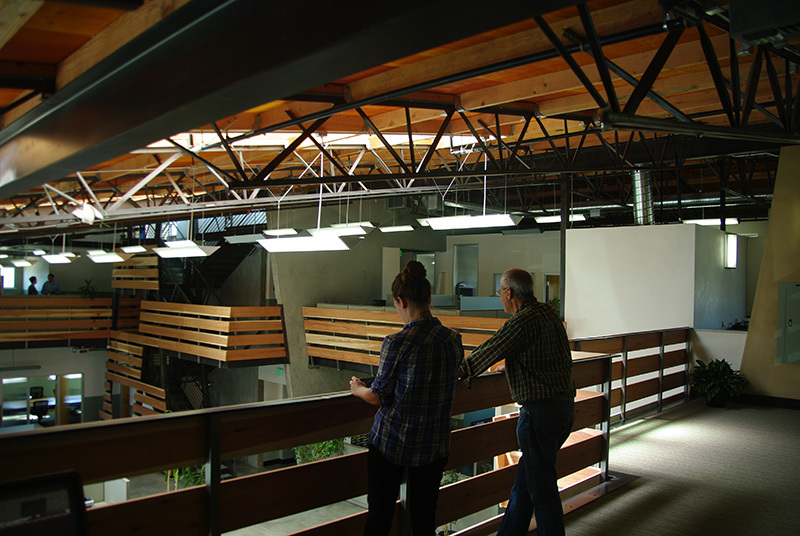 The intent of the architectural design was to articulate the exposed structure in the overall aesthetic.